Happy One Month, Baby A! 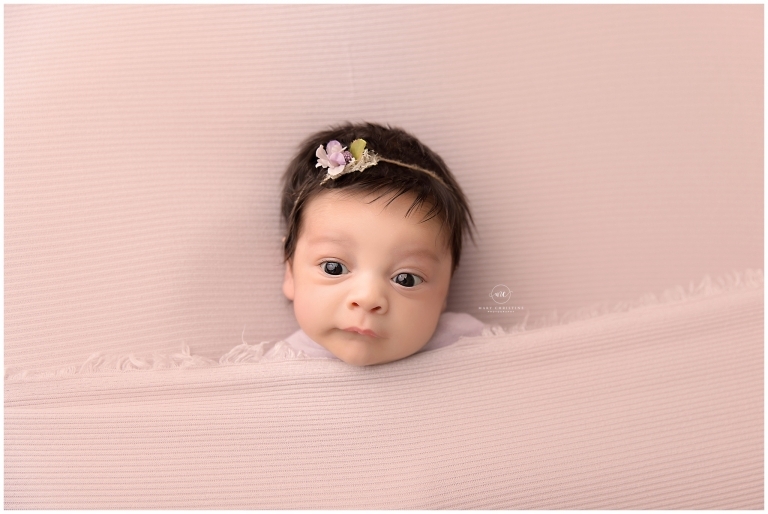 Welcome Miss A to the Strongsville Ohio photography blog! My goodness, this little lady had the most gorgeous head of dark hair and the brightest eyes! It is not too often that I get to celebrate little one’s first month birthdays, I was so honored to do so! 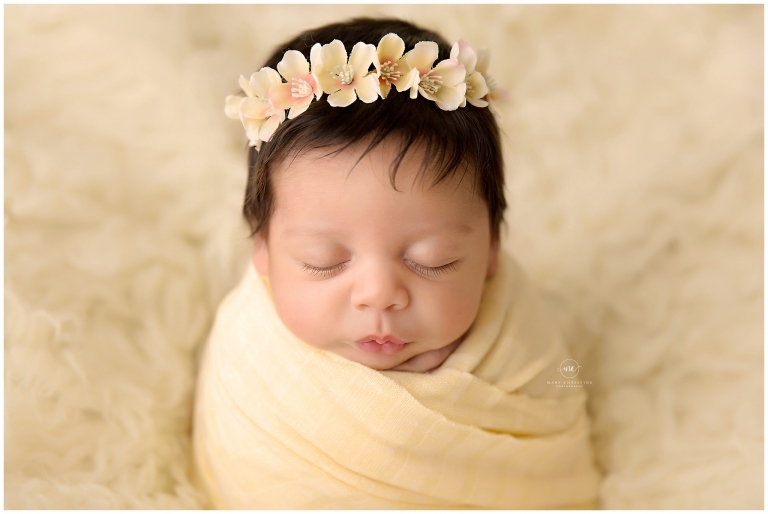 Most newborn sessions take place within the first two weeks, while the baby is still super sleepy and does not mind being moved while sleeping. We can do sessions outside that timeframe, but the expectations for the posed images will change. Since Baby A was outside that window, we went with the mostly swaddled approach while she was asleep. We still got some really sweet sleepy photos and amazing eye contact when she was awake! Is it just me or do your kids look like this when you tuck them into bed at night? Miss A was all bright eyed and bushy tailed, she did not want to miss a thing! Yellow is rarely requested, so when I get to pull some out, I get really excited. It is one of my favorite colors! I think people get scared away from using it because they are worried that it will be over powering, but I love the softest version of it. This halo by Created by Carli tied it all together perfectly! Those little pouty lips and gorgeous eye lashes are everything. I love this image! 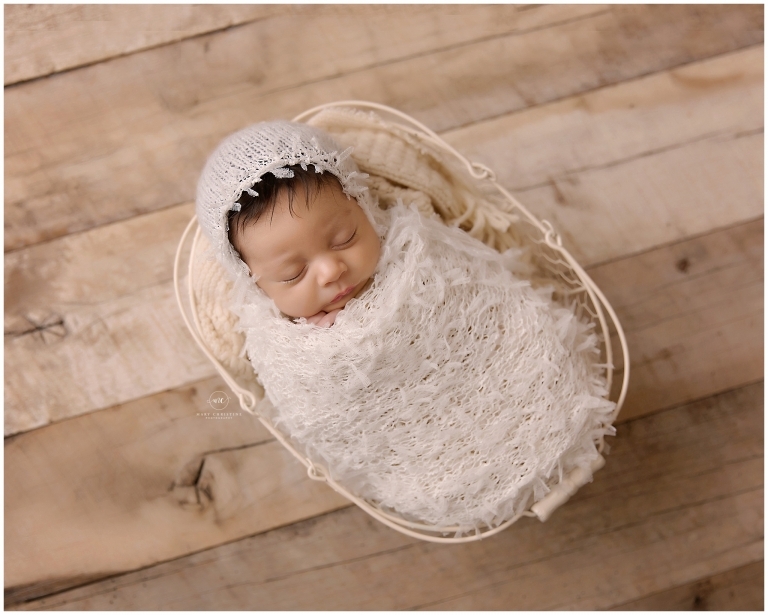 Even though we kept Miss A swaddled, we were able to still get a good variety of set ups in a short amount of time. She did wake up and stretch out as well, so her momma got a great gallery! Thank you so much for stopping by the blog! 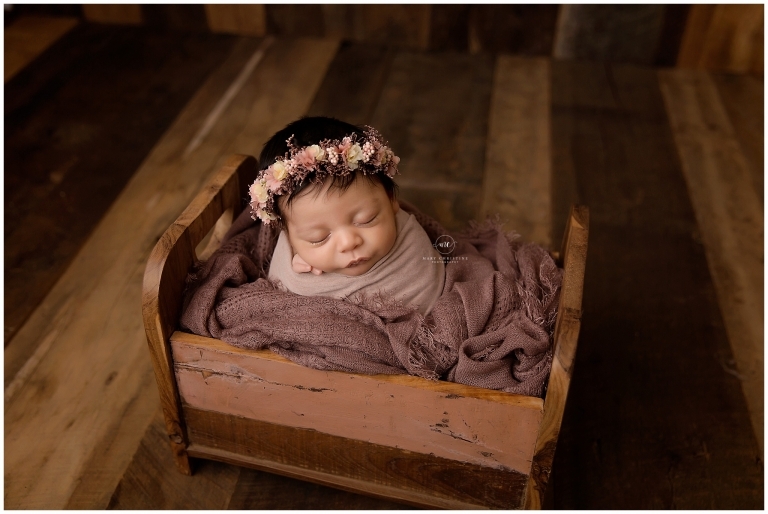 Are you expecting soon and looking for a Strongsville Ohio photography session? Please contact me today to chat about scheduling your session!